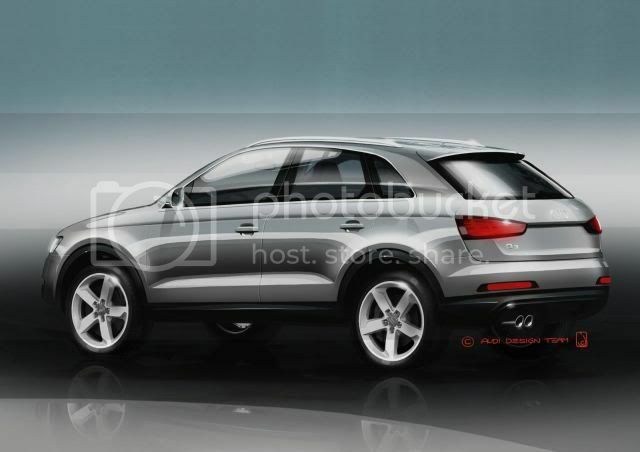 Audi has previewed the first pictures of the firms new Q3 sub-compact SUV, ahead of its Shanghai premier in a fortnight. Sporty front and rear fascias and a depressed roofline will defenestrate the Q3 from the larger Q5 and Q7. 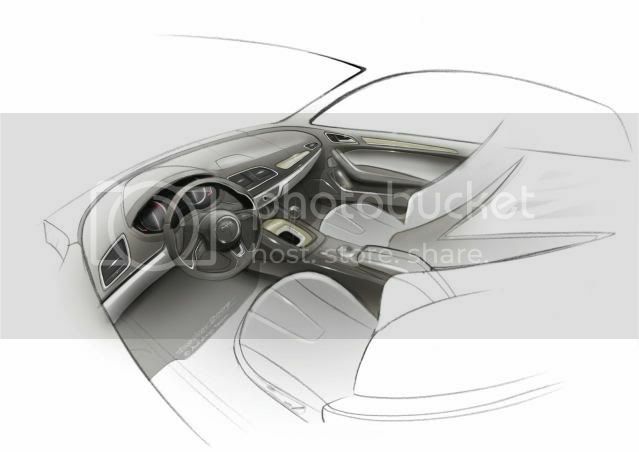 The steep roofline is likely to impact passenger headroom and cargo capacity. 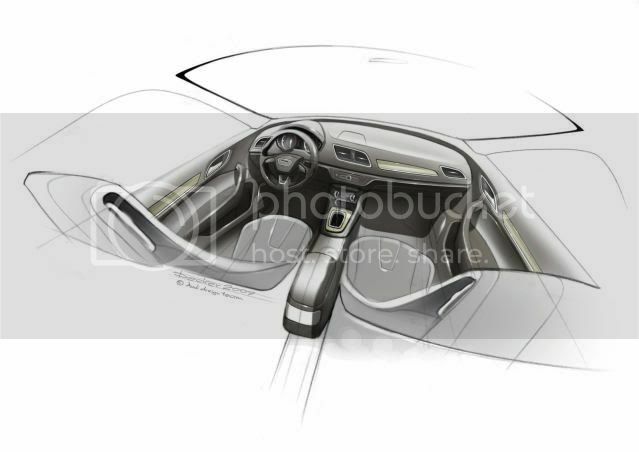 Like every new Audi, the interior would feature a retractable MMI display, chrome & aluminium accents, and wood highlights. Forward momentum will arrive in form of two petrol and one diesel engines. A 2.0 litre TFSI petrol engine that develops either 168bhp (170PS/125kW) or 208bhp (211PS/155kW) and a 2.0 TDi 168bhp (170PS/125kW) will be offered initially. Link these engines with a 6 speed manual & 7-speed automatic, and you'll be emitting between 158g/km to 184g/km. Production of the Q3 will take place in Martorell, Barcelona, Spain.